$11.00/lb. $11.00/lb. Avg. 4 lb. Great for holidays, gatherings or a nice dinner at home! 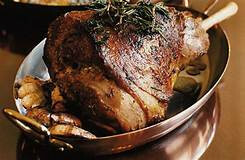 The flavor of a leg of lamb is unbeatable!